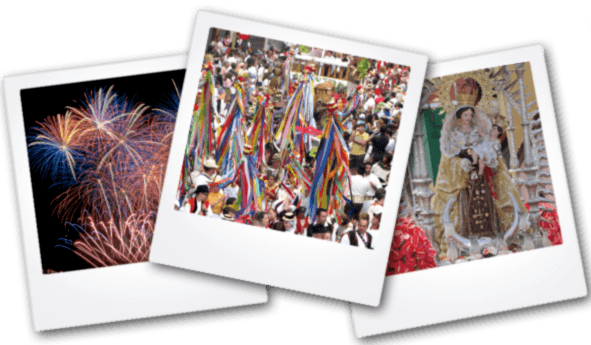 We have hand picked the following festivals and celebrations for you from amongst the wide selection of festivities celebrated in Los Realejos between January and December. Los Realejos has more festivals than any other town in Spain, and possibly even the world! In just one year close to one hundred different celebrations are held throughout the municipality. The first festival to be declared of interest to tourism in the Canary Islands was the celebration of the Feast of the Holy Cross and Fireworks in May (Cruces y Fuegos de Mayo), which is held in Los Realejos.